This is it. 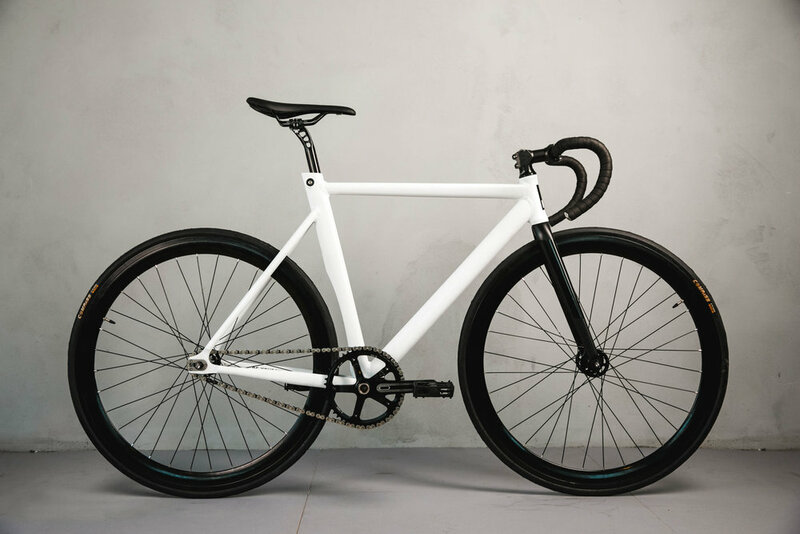 THE BEST FIXED-GEAR BIKE IN THE WORLD. We're really proud of this build and yes, we do believe there is none better than this one. In collaboration with DSD Composites we've create a very fast, light, sturdy bike. NOTE: This bike is built specifically for each costumer. Once purchased we will get in contact with you in order to build the perfect ride, tailored to your unique person. This process takes 8-12 weeks from purchase date to delivery date. We had to do something special with this bike, not only because we're taking it to the biggest fixed-gear races in the world but also because we wanted to work with the best in the industry. For the ELSKA Team Edition we partnered with DSD Composites, a high quality composites brand based in Arizona. On the Elska, the Kingdom-made carbon-fiber fork is the highlight. Here, everything else is made out of carbon-fiber.